Do you find it interesting or just fun to watch YouTube videos regularly? With a few simple YouTube tweaks you can watch YouTube videos a lot better and they can be totally customized to your preferences. Do you have a Gmail or Google Account, click on YouTube and on the top right (sign in) to log in. For example, you can designate movies for viewing later and choose your own favorites. If you use Chrome, you certainly have to download the free extension YouTube Options for Google Chrome. You can change almost anything with this add-on. Important, for instance, is the viewing size. Set this as high as possible (1080), so movies in HD quality will always be shown HD in playback. Also the viewing quality is best put at 1080 or higher. A super feature, I find, is that you can also disable ads with hide in-video ads and annotations. Do you find it quite annoying that videos start immediately when you load a page? Tick on disable auto-play. Play in a loop is handy if you want movies continually repeated. When you click on layout, you can customize many other aspects, such as hiding the title, video suggestions, playlists and you can also change the background color. Through sites you can activate most options also for other other video sites like Vimeo and Dailymotion. But this doesn’t work as good for me as it should though. Tip: There is a separate version of this extension with which you can also download movies and store locally. This version also includes implementing all the above YouTube tweaks. This extension may not be offered in the Chrome Web Store, but you can find it on YouTube Options. If you use Firefox, you can install individual plug-ins. If you prefer not to see comments under the videos, check out YouTube Comment Snob. Commentary that seems unprofessional (eg capital letters or full dozen exclamation marks) gets automatically filtered out. This extension is for Firefox and Chrome. If you want to see only HD videos, there is the extension: YouTube High Definition. This add-on makes sure that the video plays in the highest resolution available.. Attention! A lot of movies have no HD version, so the quality remains the same even with this add-on. If you want to install as many YouTube tweaks as you can at once, install the Greasemonkey script tool and then the script YouTube Center. You can do than all of the above tweaks, and also easily download videos from YouTube. Greasemonkey is for Firefox and Chrome. Also TweakTube offers a lot of juicy YouTube tweaks, like: download videos, convert videos to mp3, automatically watch in HD, change YouTube style, watch multiple videos, loop videos, and much more, although I didn’t try this one myself. If you did, maybe you can share your experience in a reaction below. Check here if you can’t get enough of dazzling YouTube tips. 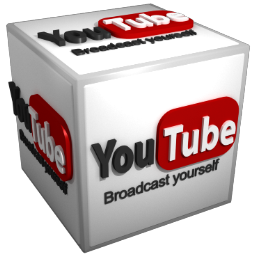 youtube is very popular and this is the best way of video watching, in present time i am seeing that youtube is used by most users of computer. Thank you Spider-Man for your comment! Please use the contact form at the top for any queries.